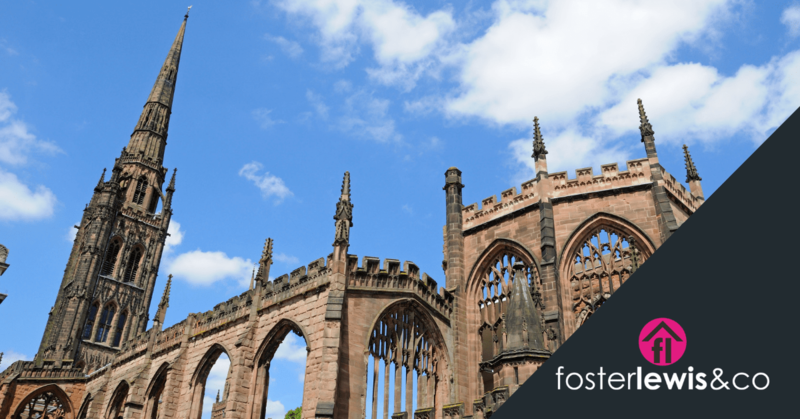 We’re very proud of being a Coventry estate agent, and often wax lyrical about the ways in which living and working in Coventry is wonderful – and now it’s been confirmed by Land Registry Data analysed by Housesimple! In their analysis, Coventry has made it into the top property hotspots of 2018, with a 6.2% increase in house prices since the start of 2018. This seems to be bucking the general trend and national headlines that imply house prices are falling and property are devaluing. Leicester and Worcester also make it into the top property hotspots, which is great news for the area in general and demonstrates the strength of the area in terms of jobs, growth and quality of living and environment. The research states the average house price in the Coventry area is £189,534 (September 2018) from £178,535 at the start of 2018. Coventry property is holding steady and showing strength in turbulent times. The City Centre reported increased levels of footfall over the Christmas period and we have certainly seen good growth 2018. What will 2019 hold for the property market? For Coventry, the good news continues and we look forward to celebrating European City of Sport for 2019 with some great events. Excitement also continues to build for City of Culture 2021. Do let us know if you want a valuation on your property, with our super-accurate valuations, we can help get you moving in 2019 – contact us to book your appointment.